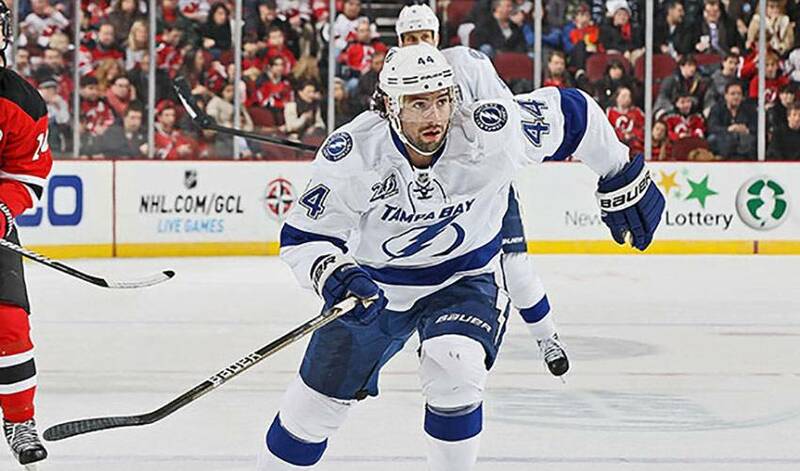 There are 3,795 miles between Nate Thompson’s hometown of Anchorage, Alaska and Tampa, Florida, his NHL hockey home. His journey to get where he is has been a most interesting road traveled. A product of Seattle of the Western Hockey League, Thompson’s big-league career was far from assured. His four seasons with the Thunderbirds were defined by solid offensive contribution (he averaged 36 points per campaign), strong defensive play and a willingness to do the things that didn’t show up on the scoresheet. It was the Boston Bruins who drafted Thompson, taking him in the sixth round, 183rd overall, in the 2003 Entry Draft. By 2006-07, the centreman had appeared in a grand total of four NHL games. Prior to the start of the 2008-09 season, on October 8, 2008, Thompson was claimed off waivers by the New York Islanders. That break Thompson was looking for came on January 21, 2010, the day he was claimed off waivers by the Tampa Bay Lightning. Once again, there was no certainty he would net a regular roster spot. In 32 games with the Lighting, he contributed one goal, three assists, complemented by dependable defensive work. One season later, however, something clicked. Last year, in 68 games, Thompson had nine goals and 15 points. Many of his contributions, though, didn’t translate into points. His efforts, however, did grab the attention of his teammates. His teammates haven’t been the only ones to take notice. On March 23, he signed a four-year extension with the Lightning. "We're very pleased to have agreed to a contract extension with Nate," Tampa Bay general manager Steve Yzerman said in a statement. "He has and will continue to be a very important member of our team both on and off the ice." Thompson, who returned home to play with the Alaska Aces of the East Coast Hockey League during the 2012-13 lockout, didn’t always think he’d find himself in this position. Hardly an easy journey, but one Nate Thompson took in stride.